My seven-year-old threw a tantrum when she discovered that Mister Maker’s next visit to Australia only included a stop in Sydney. 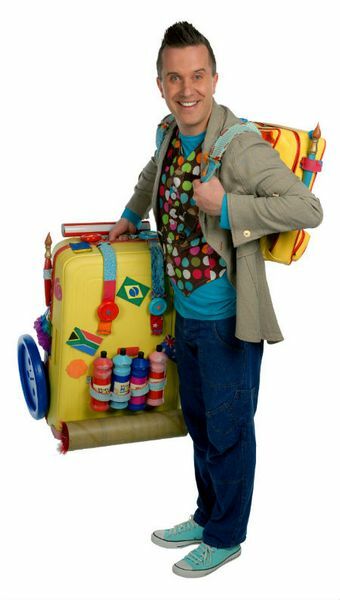 The carry-on was such that I tweeted Mister Maker and asked if Melbourne could be included in the itinerary – the answer was ‘Yes, but later in 2015’. Hooray (and phew)! So Sydneysider Mini Makers, have your glue stick primed and the glitter at the ready because Mister Maker is coming to Sydney in January! Direct from the UK, Mister Maker will bring his hit BBC show to the stage at Sydney Opera House. Renowned for his simple but highly creative approach to craft, Mister Maker tackles all sorts of projects with bits and bobs found around the house. Parents love him because his projects rarely include the instruction “Ask a grown-up to help you…” and kids love him because he makes the best stuff – quickly, easily and always thoroughly explained. Since its 2007 BBC debut Mister Maker has gained an enormous international following of crafty groupies, with the popular TV series screened in more than 100 countries. Star Phil Gallagher has cult status amongst kids and has been nominated for a BAFTA Children’s Award for Best Presenter. 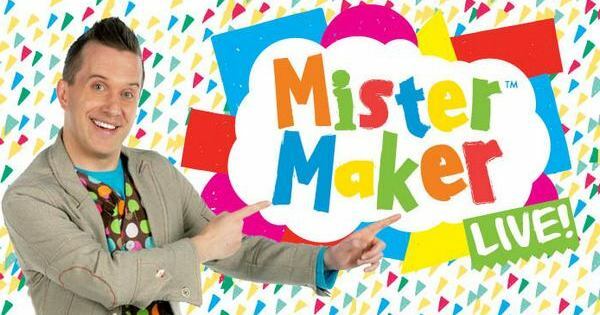 Mister Maker launched in Australia on ABC Television in 2010 and quickly has become one of the highest rating children’s shows in the country. Joining Mister Maker in his Australian debut will be The Shapes. This much-loved ensemble will add music, dance and a sprinkling of mayhem. On a colourful set reminiscent of the TV show, crepe paper, pipe cleaners, cellophane and paint will transform into all manner of crafty constructions before your googly eyes. Be a Mini Maker as the entire audience creates a piece of craft to take home. Mister Maker Live is on at the Sydney Opera House daily from 19 – 26 January, 2015. The show is suitable for children aged three years and over. Tickets are priced from $39 – book via the Sydney Opera House. And for those, like my daughter, who are busting to see Mister Maker in their home town, rest assured that he is back in Australia in June, with another visit to Sydney and then on to Melbourne, Brisbane and Perth. If you can’t wait for the live show, be sure to pick up a copy of the latest Mister Maker DVD, Amazing Makes, available online at the ABC Shop.